The Coronet of Charles, Prince of Wales is a small crown that is part of the Honours of Wales. The gold coronet, with diamonds set in platinum, was made for and used by Prince Charles at his investiture as Prince of Wales in 1969. Designed by the artist Louis Osman, the coronet was a gift from the Worshipful Company of Goldsmiths to the Prince's mother, Queen Elizabeth II. It has been described as modern but its form is traditional. The coronet is in storage along with the other Welsh regalia at St James's Palace, London. When the former King Edward VIII went into exile as the Duke of Windsor in 1936 following his abdication, he took with him the Coronet of George, Prince of Wales – a highly controversial act. This coronet had been specially created for King George V, when Prince of Wales, and he wore it at his father's coronation in 1902. George's son, Edward, when Prince of Wales, wore it at the coronation of his father in 1911. When Edward was invested as Prince of Wales a new coronet was designed and used. In 1969, it was judged impractical to charge the ex-king with effectively stealing the coronet, which would be returned to the United Kingdom after his death in 1972. Since the 1902 coronet was unavailable, and the Coronet of Frederick, Prince of Wales was judged unusable due to its age, a new coronet had to be made for the investiture of Charles, Prince of Wales. He had been created Prince of Wales in 1958 but the formal investiture ceremony was held a few months before his 21st birthday. Today, the defunct Coronets of Frederick and George are part of the Crown Jewels of the United Kingdom on display at the Tower of London. The coronet follows the form laid down by King Charles II in 1677 by having just one arch rather than the traditional two arches or four half-arches of British monarchs' crowns to show that the Prince of Wales is inferior to the monarch but outranks the other royal princes and dukes. Though based on this traditional design, the coronet has a futurist look that was popular in the 1960s, and it was created by the eccentric designer Louis Osman. In the centre of the arch is a monde (a gold-plated ping-pong ball) engraved with the Prince of Wales's insignia by Malcolm Appleby, surmounted by a plain cross. Orbiting the monde are 13 square diamonds set in platinum arranged as the constellation of Scorpio – the Prince of Wales's star sign. Within the 24-carat textured gold base is a purple velvet cap lined with ermine. Around the base are four crosses and four abstract fleurs-de-lis in 22-carat gold (Mined in the Mawddach Valley in Merionethshire, it was the last Welsh gold held in stock by Johnson Matthey.) sparsely decorated with diamonds and emeralds. The diamonds on the base are intended to represent the seven deadly sins and the seven gifts of the Holy Spirit. In total, the coronet has 75 diamonds and 12 emeralds – green being the national colour of Wales – and weighs 1.36 kilograms (3 lb). It measures 26.5 centimetres (10.4 in) tall and 28.8 centimetres (11.3 in) in diameter at the widest point. When Osman unveiled the coronet in London, he described it as "something that is modern". The frame was made by electroplating gold onto the inside of an epoxy resin cast. B. J. S. Electroplating Co., a precious-metal electroformers, was commissioned by the Worshipful Company of Goldsmiths to make a fibreglass-reinforced polyester mould of a wax model of the coronet that Louis Osman had made using a wooden template. From this mould a negative epoxy resin cast was produced. B. J. S. involved Engelhard Industries to assist in the electroforming of the cast. David Mason was Head of Research at Engelhard and was assigned the task of doing the electroforming at the company's headquarters in the Forest of Dean. Until then, electroforming an object of that size had never been attempted anywhere in the world, and it was the first crown to be made in this way. The Worshipful Company of Goldsmiths presented the coronet to Queen Elizabeth II for the investiture, which was held at Caernarfon Castle on 1 July 1969. Coronets of Princes of Wales have been rarely used. The Coronet of Frederick, Prince of Wales was never actually worn by Frederick; and the Coronet of George, Prince of Wales was only worn rarely by George, later King George V, and by Edward, later King Edward VIII. The current Prince of Wales has not worn his coronet since his investiture; the coronet was carried before him when he took his seat in the House of Lords in 1970. 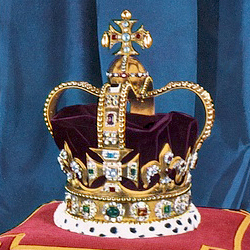 The coronet was loaned to the National Museum and Gallery of Wales by Queen Elizabeth II in 1974. It was placed into storage at St James's Palace, London in 2011. ^ a b Doug Lennox (2009). Now You Know: Royalty. Dundurn. p. 85. ISBN 978-1-77070-406-0. ^ "Biography". The Prince of Wales. Archived from the original on 24 August 2010. ^ Anna Keay (2011). 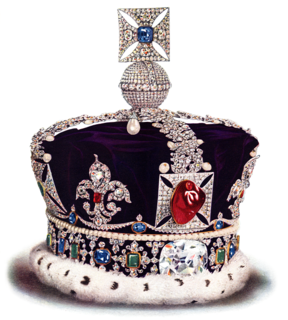 The Crown Jewels: The Official Illustrated History. Thames & Hudson. p. 190. ISBN 978-0-500-51575-4. ^ Sir Bernard Burke (2009). The General Armory of England, Scotland, Ireland, and Wales. Heritage Books. p. 59. ISBN 978-0-7884-3719-9. ^ Irene Morra; Rob Gossedge (2016). The New Elizabethan Age: Culture, Society and National Identity after World War II. I.B.Tauris. p. 67. ISBN 978-0-85772-867-8. ^ a b c d Lelande Quick (1969). Lapidary Journal. 23. pp. 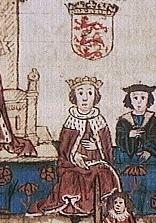 1366–1369. ^ Design Museum (2011). Fifty Hats that Changed the World. Octopus. p. 64. ISBN 978-1-84091-588-4. ^ "Charles' coronet valued at $8,400". Pittsburgh Post-Gazette. Associated Press. 2 July 1969. p. 5. ^ a b "The Prince of Wales's Coronet (1969)". Royal Collection Trust. Inventory no. 69058. ^ a b "Metallurgia: The British Journal of Metals". 79–80 (471–482). Kennedy Press. 1969: 2. ^ Engineering Digest. 30. Canadian Engineering Publications. 1984. p. 24. ^ Rod Edwards (1977). The Technique of Jewelry. Scribner. p. 203. ISBN 978-0-684-15309-4. ^ "H.R.H. The Prince of Wales coronet electroformed". Metal Finishing: 263. July 1969. ^ Kenneth J. Mears; Simon Thurley; Claire Murphy (1994). The Crown Jewels. Historic Royal Palaces. ASIN B000HHY1ZQ. ^ "H.R.H. The Prince of Wales Introduced". hansard.millbanksystems.com. ^ Prince Charles At House Of Lords (1970). British Pathé. Retrieved 2017-01-18. "The Prince of Wales's Investiture Coronet (1969)". Royal Collection Trust. Inventory no. 69058.